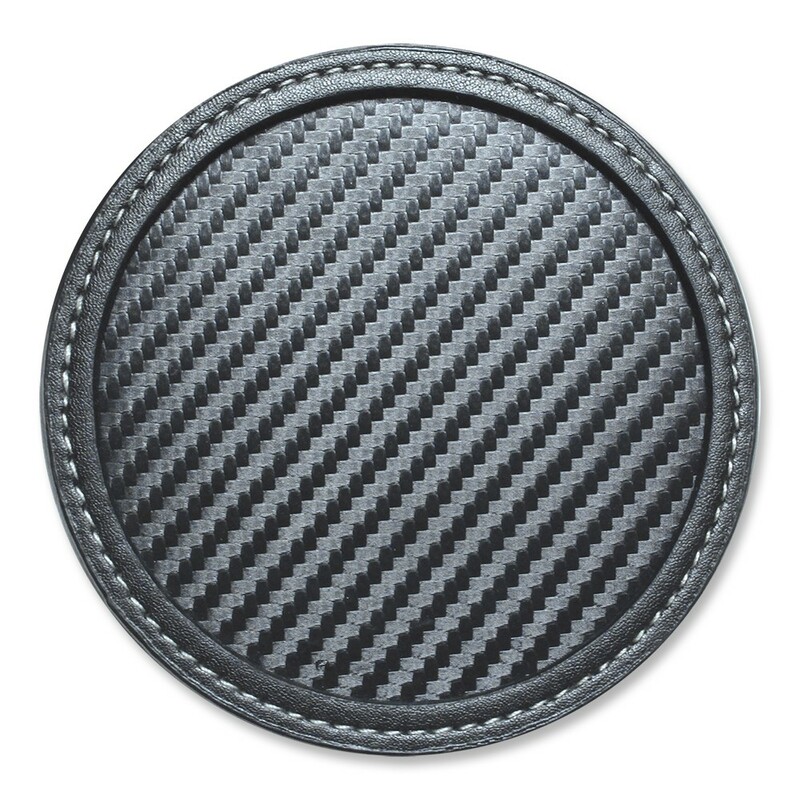 This Carbon Fiber Coaster has elevated ridges and detailed white contrast stitching. Present a cool and contemporary image of your brand to the customers with the Carbon Fiber Coaster. 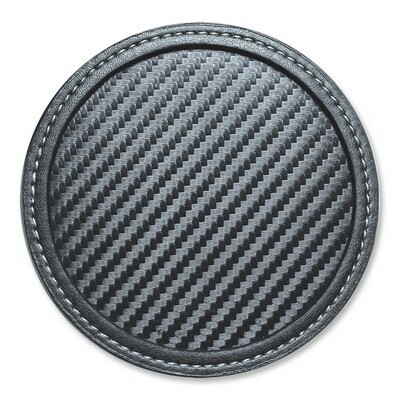 These two tone coasters feature simulated carbon fiber centers. They have elevated ridges and detailed white contrast stitching. This exclusive design gives the coasters an upscale and ultra-professional look. Their velveteen undersides protect your cups and other product surfaces from moisture, stains, and burns. Add your business logo on the coaster and give it away at restaurants, bars, coffee shops, weddings, and trade fairs to provide an excellent branding opportunity for your business.